Are you looking for a job? Do you like working with languages? Have you wanted to work at the airport for a long time or are you interested in the world of car hire? At Goldcar we regularly publish job offers in several portals, offering a wide range of vacancies. If you want to work with a company undergoing international expansion, are you used to working in flexible and constantly changing environments and you want to be part of a young and dynamic team, at Goldcar you will find all this and more. Why look for a job at Goldcar? 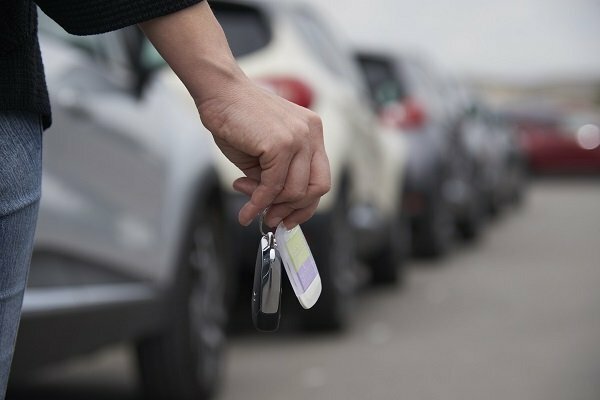 With more than 30 years of experience, Goldcar is the leading company in low cost car rental in Spain and sets the standard throughout Europe. We are encourage talent, the creation of quality employment and teamwork. Goldcar has a group of professionals composed of more than 1,000 people, a multicultural, creative and dynamic staff that focuses its efforts on offering a car rental service that is efficient, transparent, inspiring, modern and in line with the expectations of customers who trust in the company. In addition, we are a committed company that is true to its values to provide value to society through the promotion of sports and corporate social responsibility actions. 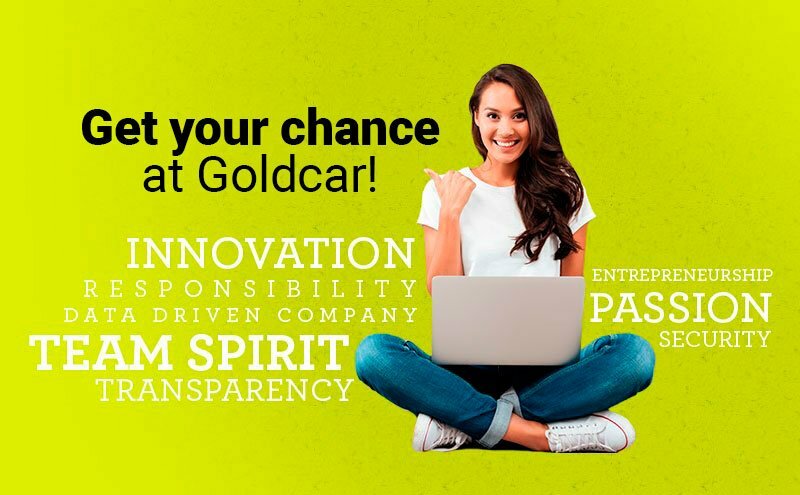 To learn more about the experience of being part of our staff, watch our videos and join the Goldcar team. You can also visit our LinkedIn page and see the profile of all our employees. If you like working in tourism or renting cars, now is the time. Are you a student? Would you like to do internships in a company? Do you want to complement your studies with real professional experience? Goldcar also offers jobs for students who are studying or have completed their training. With our internship agreements you will be part of our company and you will be able to gain experience in several of our employment areas. Once again we reiterate our commitment to talent.